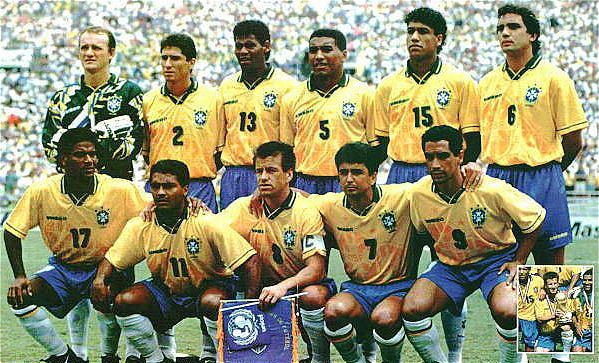 Brazil's 1994 World Cup winners. Top row from left: Taffarel, Jorginho, Aldair, Mauro Silva, Marcio Santos and Branco. Bottom row from left: Mazinho, Romario, Dunga, Bebeto and Zinho.